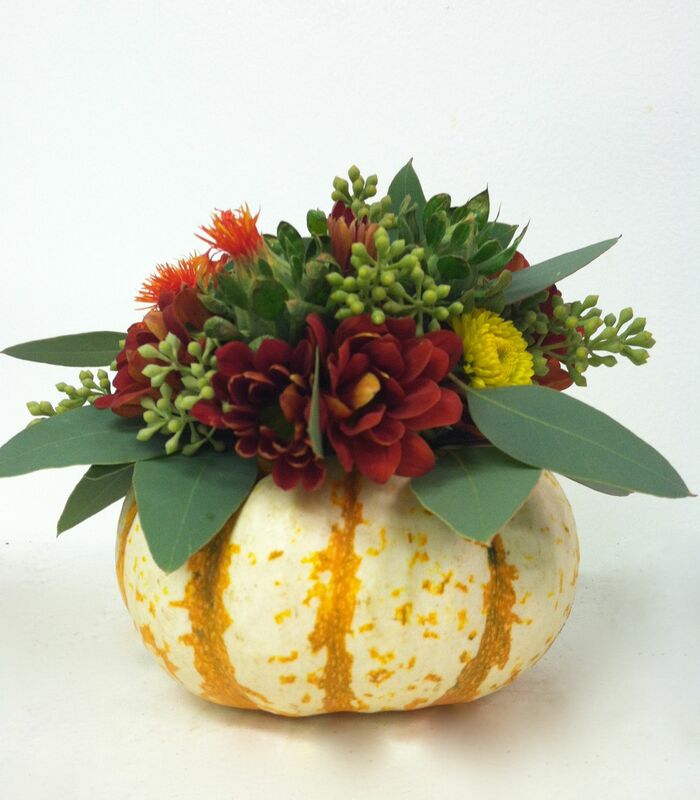 Please join me on Saturday, November 8, 2014, for a fabulous workshop on how to create Pumpkin Arrangements! After a demonstration, each student will be provided with a variety of textural elements including flowers and greenery to create a beautiful arrangement. No experience is necessary. People of all skill levels are welcome! Investment: $45. Payment is due prior to start of class. What is included: All materials and supplies are included. What should I bring: Feel free to bring a friend (but please pre-register so we have enough pumpkins on hand!). Everything else will be provided. Location: Urban Petals Studio is located in the historic Taylors Mill located at 250 Mill Street, Suite 25, Taylors, SC 29687. You can find us on the 2nd floor. Call (864) 569-6112 or send us an email at a urbanpetals.sc@gmail.com.